I feel a new crispness in the morning air, making me realize that summer is winding down. So I've been searching for some fall-ish patterns and... how pretty is this?! 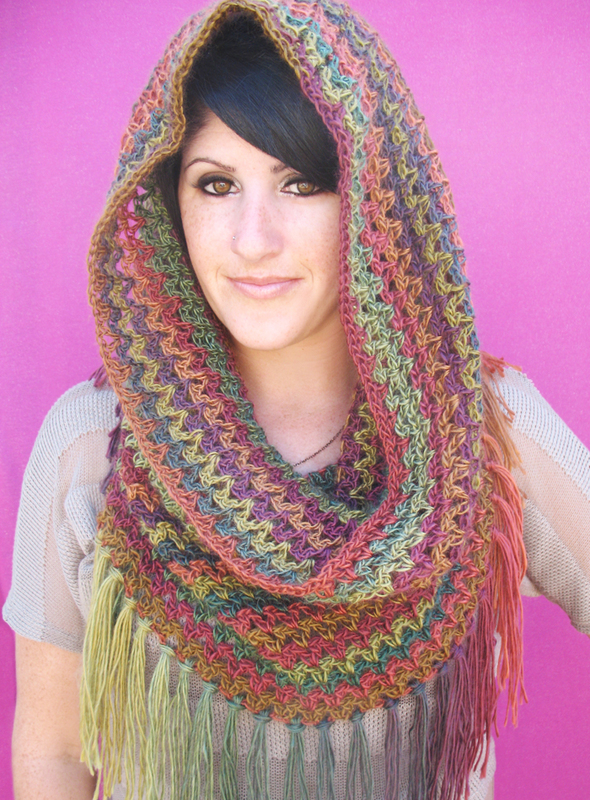 Beautiful color combinations and fringes, I like this cowl (shown as hood) very much! 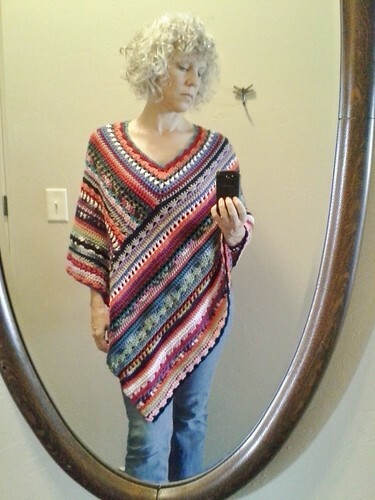 This is beautiful and a great idea for using up all of your scrap yarns! It's a pretty simple pattern, but could be a lot of fun, seeing how the colors come together in the end! Materials: G Hook and any yarn, whatever you have. How awesome is this backpack?! Who needs to go back to school for this, I want one anyway! This is a very simple pattern! And a quick one at that. We're going to see a sensational chunky yarn trend this fall/winter, and although this pattern is older, this is just the beginning of chunky style! The yarn and hook size is going to be getting larger and larger! I quite like this hat, it has an elegant kind of vintage look to it. 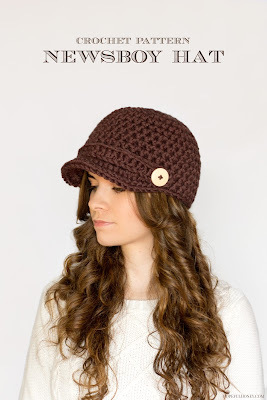 A lovely new newsboy hat pattern! I like everything about it, the style, the stitch, the color, the brim, the band, and the buttons! 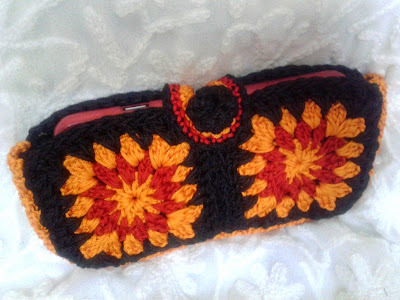 The sunflower is my favorite flower, so this cute mobile phone pouch caught my attention right away! This is such a simple design, but looks amazing. When you follow the link to this pattern, scroll down the page a bit, and you will find it. Materials: The designer does not list which yarn or hook was used, so you may have to play around with gauge to make it fit your own phone. Measure the length of your phone, divide by 2. Try to make one square motif the same length (and width obviously). Make 3 more squares the same. This should fit your phone! 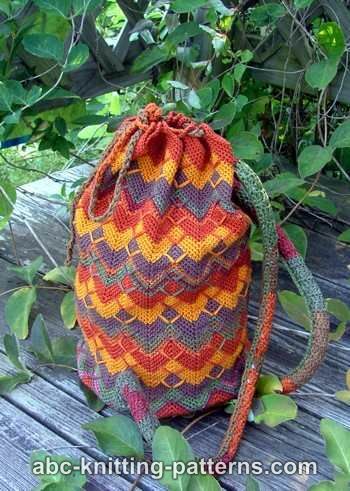 She used yarns in colors orange, yellow, and black. Materials: D-M-C Pearl Cotton, Art. 116D, Size 5: 2 balls Peach No. 352 (A) or any desired D-M-C color and 2 balls Black No. 310 (B); 1 pair suitable Soles; small, medium or large as required; Steel Crochet Hook, Size 8.